Bright green-orange color, gorgeous bright fire flash pattern. It lights up with green and orange color! It's fantastic under natural day-light. You'll love this one! 4 out of 5 in brightness, very bright! It faces beautifully from all directions. It's Translucent (N8) in body tone! * Body tone is N8 (Translucent). 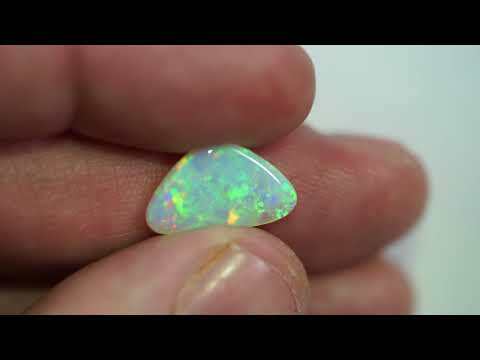 * The weight of the stone is 4.00 ct.
Don't miss out on this truly beautiful solid crystal opal! BUY WITH CONFIDENCE! I am an honest seller. Shipping Charges: To USA FREE, Australia FREE, Rest of the world US FREE for registered air mail.